It has been a tumultuous time for many CEOs and executives in America, from Martin Shkreli to John Stumpf and Heather Bresch. Their companies have been involved in high-profile tussles with Congress on issues including drug pricing, R&D costs, aggressive marketing strategies and executive compensation and how all these issues tie into consumer protection and well-being. A good starting point to look at is how strongly (or weakly) these industries are regulated. Ask the executives and they will likely tell you that regulation has stifled innovation; consumer advocates say there is more that needs to be done. These incidents of perceived executives’ high-handedness will only serve to strengthen consumer advocacy groups and push Congress to increase regulations (a trend that has already been occurring, click here). Given this increasing regulation and the risks associated with noncompliance (damage to the brand, especially in the digital age, fines, withdrawal of products, stock price fluctuations), a marriage of technology and regulatory intelligence to aid in compliance only seems natural. The explosion in big-data analytics, artificial intelligence and cloud computing can play a huge role in collecting, storing, analyzing and providing insights into an ever more regulated market. Think of a database with a simple Google-like search of all the regulations in any market or industry. RegTech is in itself a relatively new term that combines ‘regulation’ and ‘technology.’ It is a close cousin of the larger and better understood ‘FinTech.’ RegTech has the potential to automate and help de-risk the regulatory compliance needs of all companies (small or big, finance or pharma). 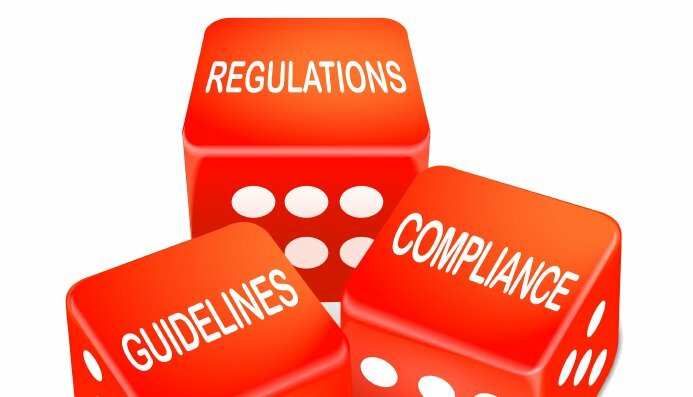 As a technology, it has the potential to reduce the risk involved in compliance, helps you stay up-to-date with a myriad of new regulations and reduce costs associated with compliance or lack thereof. As one can imagine, this vastly speeds up finding the relevant information and deciding on the next steps. Since the entire process of sourcing, sorting and analyzing data is automated, it can reduce costs, time and effort. There is also no personal interpretation of a rule, eliminating ambiguity between differing opinions. The ease of ensuring compliance can also drive a wave of innovation is industries perceived are too tightly regulated or too risky to enter unless you are a big player. Innovation means better products, lower costs, and more choice. There are some up and coming companies that are tapping into this nascent market. FundApps and Silverfinch are such firms focused on the finance industry. There is tremendous potential to provide these type of solutions to pharma and manufacturing to ensure FDA, EPA, and OSHA compliance. The solutions will not only help companies comply but assure the administrative agencies that their information is reaching the intended targets and alleviate concerns from consumer advocacy and environmental groups about non-compliance and the perceived callous attitudes of executives in the news so often.